An accident with your pet can happen fast. If you need help from an emergency veterinarian Rochester Hills clinic, you've come to the right site. 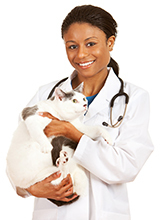 Our Rochester Hills emergency veterinarian teams treat many types of domesticated pets and animals. When you require an animal emergency center Rochester Hills specialist to see your cat or dog, know that we will take every step possible to provide the critical emergency care that your pet desperately needs. We are always committed to providing high-quality care at our animal emergency center Rochester Hills facility. Throughout the stages of your dog or cat's life, they may need an emergency vet Rochester Hills specialist to provide them with stitches or another type of surgical procedure. Whether your pet is an older cat or dog or in its early stages of life, we have the expertise to treat your pet and provide 24 hour vet hospital Rochester Hills service. Whether you have a group of pets or a single animal, we know how special your pet is to you and the important role that it plays in your life or lives of your family. Our emergency vet Rochester MI team is committed to providing the best care possible for your pet. We'd like to become the care partner who not only handles emergencies when a crisis occurs but provides a watchful eye over the health of your pet throughout its life. The specialists at Rochester Hills emergency animal hospital will always treat your pet with the utmost care. One of our top goals at our Rochester Hills emergency vet center is to practice high-quality, compassionate surgical and medical treatments when your pet is in an emergency situation or having a routine procedure done. If you ever have to bring your pet in for an emergency, we know it can be a stressful situation. Our animal emergency center Rochester MI facility is designed so that you can feel comfortable. It's always best to try to stay as calm as possible when your pet has some type of emergency. When you are calm, it helps bring down the stress level of your pet, which is a much better state for your animal to be in. If you need to, call a friend, neighbor or supportive family member to talk about the situation that your pet is going through. It's always helpful to talk to someone who can provide you with support during times of trouble. Just know that we are committed and doing our best to help your pet. Our Rochester Hills emergency vet specialists are highly trained and experts at what they do. It's normal to feel anxious when your pet has a problem, especially if that challenge is life-threatening. There are a number of ways that you can cope with this. The first is by relying on your veterinarian. If you think there's a problem, there probably is. It's best if you bring your pet in to our emergency veterinarian Rochester Hills center to make sure that nothing's wrong. Contact Animal Hospital Rochester Hills Hospital Today!